Xi'an, Shaanxi, China, July 29, 2016 /ChinaNewswire.com/ - AccorHotels announces the grand opening of the 275-room Novotel Xi'an SCPG on 28 July. 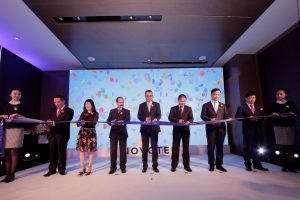 The hotel is the first Novotel property to debut in Xi'an and Shaanxi Province, which brings the Novotel network brand expansion to 21 hotels in the Greater China region. Built right next to the new shopping mall named Xi'an Incity, the hotel is accessible to the city's metro station and is only 30 minute drive to Xianyang International airport. Renown for the city's most popular attraction site, the Qin Tomb Terracotta Warriors and Horses, is a 45 minutes' drive away. The hotel's décor provides the comfort of a true home away from home with the unique accents of Shaanxi culture seen through its surroundings. Purple highlights in the 275 stylish rooms and suites provide a striking yet relaxing retreat for discerning guests. All rooms are furnished with Wi-Fi connectivity, docking station and in-room amenities. A pillow menu is also made available to ensure a good night's rest. Home to a restaurant and bar, Food Exchange Buffet Restaurant offers a range of international and local cuisine while Tang Tea Bar provides a cosy ambience to chill and relax after a long day. The hotel also has two Chinese private dining rooms and a Fitness Centre. For events, meetings and corporate retreats, the hotel has 365 square metres of meetings and events space comprising four multi-function rooms that can accommodate up to 110 guests. To celebrate its opening, the hotel is offering a special room rate of RMB 568nett (including breakfast for two) from now until 31 August, 2016. Reservations can be made by email to [email protected] or call +86 (29) 8626 8888. The hotel is located at 33 Weiyang Road, Xian, Shaanxi Province, 710016 P.R.China. Fujian, China, July 28, 2016 /ChinaNewswire.com/ - AccorHotels, the leading international hotel operator, announces the opening of Pullman Shishi Mattison, the second Pullman property in the southeast Fujian Province and the brand’s 29th property in the Greater China region. 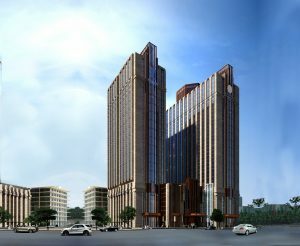 Housed in a landmark European designed twin-tower building in downtown Shishi, the new build property is the first international upscale hotel that brings vibrant, cosmopolitan and in-style hospitality with a French soul to this county-level city of Quanzhou in Fujian. Ideally located in the heart of the city, Pullman Shishi Mattison is easily accessible from Jinjiang International Airport and Jinjiang High-speed Railway Station. Shopping malls and eateries are located within close proximity to the hotel, offering guests various dining options and convenience within the area. The hotel has a rooftop helipad that provides emergency landings and VIP access, making it the only international hotel in Fujian Province to offer the service facility. 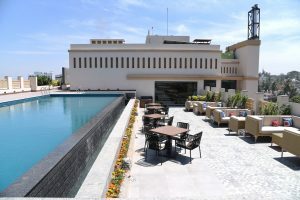 The hotel features 252 spacious, modern and fully-connected rooms and suites including a presidential suite. Elegantly designed and equipped with the latest in-room technologies such as broadband and satellite TV, the hotel provides guests an ideal place to work, play and rest. Whether it is meetings, conferences, parties or corporate retreats, the hotel boasts the largest state-of-the-art pillar-less grand ballroom in Quanzhou which can accommodate up to 1,800 guests and 10 meeting rooms. The hotel’s two distinctive restaurants and lobby lounge provide guest with dining choice offerings. The all-day dining restaurant has an open kitchen concept, that serves a variety of Eastern and Western cuisines while the Chinese restaurant offers diners authentic Cantonese and local Minnan cuisines. Its contemporary and warm setting makes it ideal for intimate gatherings with friends and family as well as corporate business meetings. The Lobby Lounge serves a long list of beverages and pastries perfect for an evening drink. Gym enthusiasts can look forward to revitalitasing their body and mind at the hotel’s Health Club or a refreshing swim at its outdoor pool. 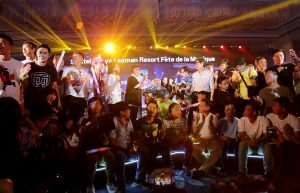 Guangdong, China, July 22, 2016 /ChinaNewswire.com/ - The Hurun Presidential Awards party was recently held in Shanghai and organized by the Hurun Report. 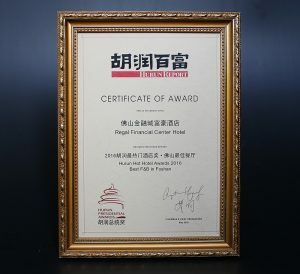 Regal Financial Center Hotel has been honored for its excellence by being name the "Best F&B in Foshan". The Hurun Presidential Awards is an authoritative evaluation of top hotels that includes an assessment of presidential suites, executive suites, entertainment and restaurants. It strives to provide celebrities a reliable guide for choosing top hotels. 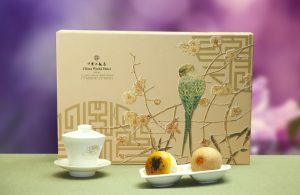 At the same time, it helps top hotels continually upgrade products and services in China. Regal Financial Center Hotel features three different styles of restaurants and one Regal Patisserie, serving authentic Chinese and Western cuisines, local delicacies and refined afternoon tea. Also, the around-the-clock in-room service makes guests feel relaxed and comfortable. 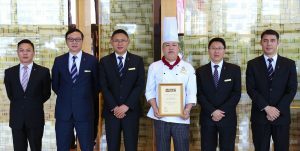 According to Andy Lam, Resident Manager of Regal Financial Center Hotel, "Being named the 'Best F&B in Foshan' award is recognition of our service and quality in our Food & Banquet which encourages us to aim higher offering the excellent experience to all the guests by continuous service improvement." Regal Financial Center Hotel sits right on top of the metro station and is situated in the heart of Guangdong Financial High-Tech Zone, Foshan City. As part of Foshan's top-notch Metro City Urban Commercial Complex, shopping, entertainment and local sightseeing are within a short stroll from the Hotel. Regal Financial Center Hotel features 230 exquisite guest rooms, four restaurants, one 500m2 pillar-free Regal Ballroom and 11 mutil-function rooms, offering optimum flexibility to cater to any kind of gala events, banquets, meetings and weddings. 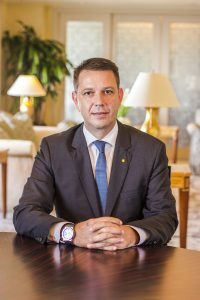 Fujian, China, July 22, 2016 /ChinaNewswire.com/ - Shangri-La Hotels and Resorts announces the appointment of Mr. Jonas Amstad as general manager of Shangri-La Hotel, Fuzhou in the capital city of Fujian province in the southeast of China. In this role, he will oversee hotel operations and lead the team in delivering quality and exceptional guest experiences at this property. Mr. Amstad, a Swiss national is fluent in German, French, English and Russian. 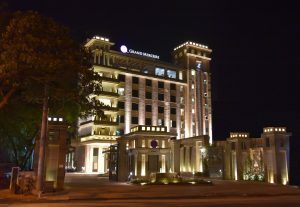 Prior to this appointment, his 25-year experience spans several five-star international city hotels and resorts, including Sheraton Warsaw and Sheraton Oman, Park Hyatt & Hyatt Regency, Baku, Shangri-La Hotel and Resort, Fiji, Donbass Palace Hotel, Donetsk, Radisson Resort & SPA, Alushta, as well the Radisson Belorusskaya in Moscow. Mr. Amstad is well versed in hotel management. His hospitality journey starts at Beckenried from 1988. For the past 25 years, he had worked for numbers of fields and various positions in Eastern Europe, Middle East, Mainland China, South Pacific and　Indian Ocean, before he arrived in Fuzhou. 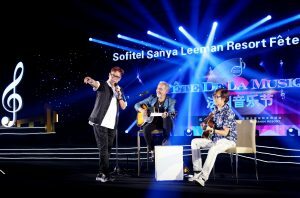 Prior to Shangri-La Hotel, Fuzhou, he was the Resident Manager of Shangri-La’s Resort & SPA in Maldives. “I am passionate about joining the Shangri-La Hotel, Fuzhou, which is such a historical and leisure place. Driven by a philosophy rooted in Asian hospitality, the Shangri-La Fuzhou team has been doing an excellent job by maintaining its market-leader position since it opened in 2005. I hope to lead this team to meet new challenges and to consistently provide the highest service quality to our valued guests,” said Mr. Amstad. Hong Kong-based Shangri-La Hotels and Resorts currently owns and/or manages more than 85 hotels under the Shangri-La brand with a room inventory of over 36,000. Shangri-La hotels are five-star deluxe properties featuring extensive luxury facilities and services. Shangri-La hotels are located in Australia, Canada, mainland China, Fiji, France, Hong Kong, India, Indonesia, Japan, Malaysia, Maldives, Mauritius, Myanmar, Philippines, Singapore, Sultanate of Oman, Taiwan, Thailand, Turkey, the United Arab Emirates and the United Kingdom. 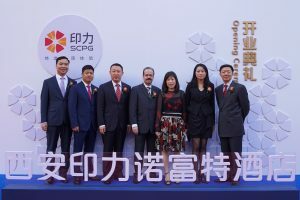 The group has a substantial development pipeline with upcoming projects in mainland China, India, Mongolia, Myanmar, Philippines, Qatar, Sri Lanka and the United Arab Emirates. Paris, France, July 22, 2016 /ChinaNewswire.com/ - After three years of transformation that have resulted in the development of two well- structured, strategically related business lines with record performances, AccorHotels is pursuing its strategy of continuous improvement and significant expansion by initiating a project to create a dedicated subsidiary for its HotelInvest operations. Beijing, China, July 14, 2016 /ChinaNewswire.com/ - New World Beijing Hotel, the closest deluxe hotel to the Temple of Heaven, launches the "Sizzling Summer Stay" promotion to offer travelers a luxurious and convenient experience in the heart of Beijing. Until 31 August 2016, New World Beijing Hotel invites guests to stay at an exclusive 35 percent discount on Best Available Rate with the "Sizzling Summer Stay" promotion. When staying three nights or more, guests can enjoy a complimentary room upgrade to the next room category. To make a booking, please contact the hotel directly at +86 5960 8888 or book online at newworldhotels.com/beijing or contact a travel professional and quote "Sizzling Summer Stay" during the promotion period. 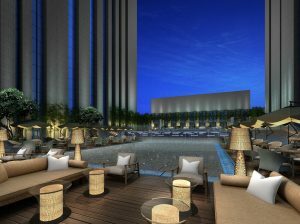 New World Beijing Hotel is the first deluxe hotel in Chongwenmen, one of Beijing's fastest growing commercial areas. As well as being the closest deluxe hotel to the Temple of Heaven, the hotel is conveniently near to Tiananmen Square, the Forbidden City and the famous shopping streets of Wangfujing. 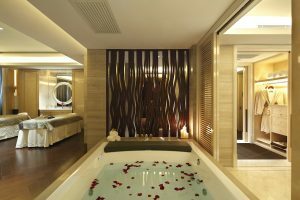 New World Beijing Hotel has 309 guestrooms and suites, ranging from 47 square metres for the Superior room to 400 square metres for the exclusive Presidential suite. 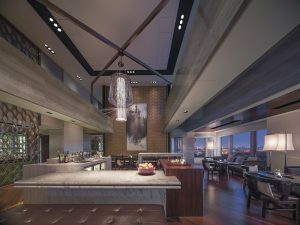 Guests of the Residence Club floor will be entitled to a range of convenient services, added privileges and thoughtful extras, including access to the private Living Room for complimentary buffet breakfast, afternoon tea, evening cocktails and refreshments throughout the day. 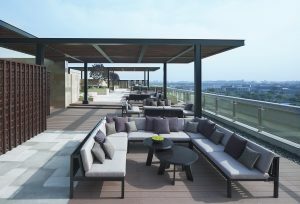 Another distinguishing feature is the Living Room's outdoor terrace occupying over 1,000 square metres, the largest executive floor terrace among Beijing's deluxe hotels. Bangalore, India, July 12, 2016 /ChinaNewswire.com/ - AccorHotels and Brigade Group, Bangalore announced the opening of Grand Mercure Mysuru in South India’s popular growing tourist destination, Mysuru. Set in the historical city’s heartland, north of the majestic Mysore Palace, the hotel boasts 146 contemporary rooms and suites. The Grand Mercure Mysuru is located on the legendary New Sayaji Rao Road that witnesses the world-famous Dasara procession. The hotel features a viewing gallery on the sixth floor that overlooks the Dasara processional pathway, giving guests the opportunity to enjoy an exclusive view of the magnificent festivities, the city is globally renowned for. Grand Mercure is an upscale network of hotels and apartments combining rich local traditions with renowned French touches to deliver a fresh perspective on world-class service. Grand Mercure is a cultural touchstone in each destination, capturing guests’ imagination and bringing local stories to life. Operating in Asia Pacific for almost 20 years, the Grand Mercure brand is uniquely adapted to each market, launching Grand Mercure Mei Jue in China and Grand Mercure Maha Cipta in Indonesia, with further expansion planned in Latin America and the Middle East – countries where there is a greater demand for hotels that truly understand the different expectations of their guests and can help guests ‘discover a new authentic’. The Grand Mercure network consists of 45 hotels worldwide with 39 hotels in Asia Pacific. Grand Mercure is a brand of AccorHotels, the world’s leading hotel operator with 3900 hotel and over 190,000 employees in 92 countries. New York, United States, July 8, 2016 /ChinaNewswire.com/ - BZ Media LLC announced today the second in its series of critical examinations of the hype and reality behind certain vertical commercial drone markets, "The Truth About Drones in Construction and Infrastructure Inspection." The free report was commissioned by BZ Media and written and produced by Skylogic Research. 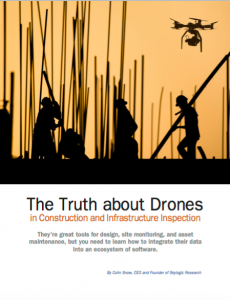 "Since 2013, hundreds of firms across the globe have put in place proof-of-concept projects for drones – not just for construction but also for infrastructure inspection and asset management purposes," said Colin Snow, CEO and Founder of Skylogic Research, LLC. "In this paper we explore the major use cases, discuss the opportunities and challenges, present the lessons learned, and outline what’s next for drones in these industries." "We are presenting a number of class sessions and panels on infrastructure inspection," said Conference Chairman Ted Bahr, "and the show floor is full of vendors who can help construction and infrastructure professionals do their job more safely and cost effectively." InterDrone is the world’s largest event dedicated to commercial drones and expects to host more than 4,000 commercial drone buyers and flyers who will learn at more than 120 sessions. More than 135 exhibitors will be showing the latest drones and related technology in the expo hall. Registration for InterDrone is now open at www.InterDrone.com. For information on exhibiting or event sponsorships, please contact Ted Bahr at [email protected] or +1 631-421-4158 x101.